The Applied Art students have been protesting since the past 13 days, demanding action against alleged sexual harassment by the head of department. New Delhi: Students of Applied Art from the Faculty of Fine Arts, Jamia Millia Islamia, who carried out a peace march in the campus on Tuesday, have decided to continue their protest against the Head of Department (HoD) Hafeez Ahmad, who is facing allegations of sexual harassment, intimidation and favoritism. On Tuesday, the students alleged that they had been threatened by the Registrar to call off the protest or face suspension. They also claimed that they were prevented from marching to the Vice-Chancellor‘s office from gate number 15, and despite showing their ID cards, were denied entry into the campus, which led to a scuffle. Anayat Ali, a student of Applied Art, said: "We have been protesting in a peaceful manner since 13 days. Suddenly, the Chief Proctor Haroon Sajjad asked us to end the protest. When we refused, he asked us to meet the Pro-Vice-Chancellor. 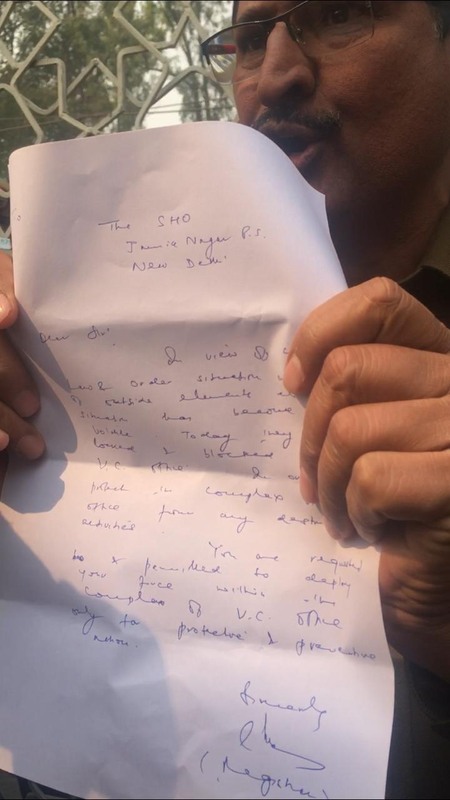 When six students went to meet the VC, AP Siddiqui, the University Registrar, came and asked us to immediately call off the protest and even threatened to rusticate the protesting students,” alleging that the registrar had also written a letter to Delhi Police allowing them to deploy forces in the campus. Meanwhile, the University administration has formed a fact-finding committee to look into issues in the Department of Applied Art. The committee comprises deans of six faculties and has been requested to submit its report in two weeks. Another student, Yunus Nomani, who went for the meeting with the Pro-VC said: "We demanded suspension of Hafeez Ahmad till inquiry, but they did not agree. As far as the students of the Applied Art are concerned, they will not rejoin classes until their demands are met." 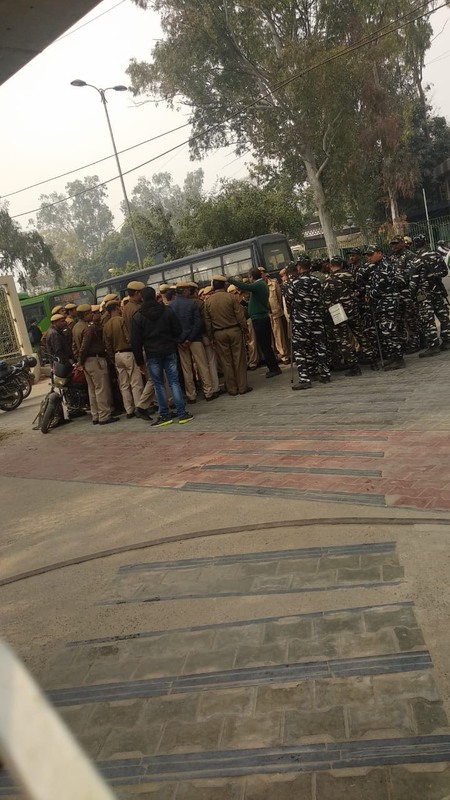 Meanwhile, the Jamia Teachers’ Association (JTA) has slammed ‘a one-sided decision’ by the university to send a teacher on leave and suspend three students after the attack on protesting girl students a few days ago, allegedly at the behest of the HoD.“This decision is purely taken in a haste under the pressure of few students who are taking support from outsiders also. University has taken this decision without conducting any inquiry and also without taking approval from any university body,” reads a statement issued by JTA. As the Jamia administration struggles to bring back normalcy on the campus, students of the university are worried that such incidents would dent the image of the iconic university. At the time of the filing of this report, heavy security had been deployed at the university’s gates to prevent the entry of outsiders and a meeting was going on between Delhi Police officers and the Registrar, Proctor. Newsclick tried to contact the Proctor to seek his comments, but his number was switched off, Calls to the Jamia PRO Azeem Ahmed remained unanswered.